R.U.S.E. is a beautiful game. However graphics are never the key to a good strategy game, gameplay is far more important. But what gives R.U.S.E. it's slick look is it's easy interface. The zooming in and out. The quick access to every single building and ruse is what makes the game. The whole process of playing the game is fluid and makes the rush of it all actually fun to play. The user interface makes taking on your enemy feasible and not a headache. Unlike some RTS games where clicking and micromanaging is a pain, this game makes it much easier to just simply play the game. Zoomed out R.U.S.E. looks like a board game, as if you are playing Risk, but this is real time. You will see your battalion of tanks stacked on poker chips. Zoom all the way in and you see each individual tank moving across the field. This game is not about building up a huge force. It is often more about the rush and quick use of tactics and deception. The absolute most time any game lasts is 45 minutes, it's usually more around a half an hour or less. This game is truly all about the multiplayer. Fighting the computer doesn't get a lot of replay value but can still be challenging. R.U.S.E. is set in World War II. The UK, US, Germany, Italy, France and the Soviet Union are all playable countries. Each country has it's strengths and weaknesses. The Soviet Union has infantry bonues, Italy has long range artillery, etc. There is also a nuclear mode where nuke cannons can be built, but this kind of kills most of the fun. R.U.S.E. is fun to play especially if you have a teammate. The games don't last long so when playing multiplayer you can quickly get a feel for what tactics work and what doesn't. You usually build your base within the first 5 minutes, this game does not have a big buildup. Often you want to get your infantry to that strategic city or some anti air in a strategic forest as quickly as possible. You'll need to decide which tactic if best for your country. I've found many players like to play UK or Italy. UK players will try to build a quick airforce with bombers. Italian players will build massive artillery arsenals. Some players simply go for a mix of everything. Protecting your supply routes is key, and the amount of strategic options to play is surprising. Simplicity makes R.U.S.E. fun and the variety of countries gives a different set of skills for everyone to take advantage of. If you like quick on your toes strategy, I highly recommend R.U.S.E. 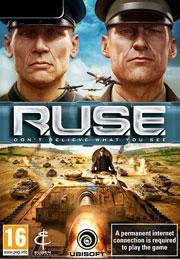 I generally don't like games that force you to rush, but R.U.S.E. pulls it off well as a real time tactics games. The units are unique and all have there advantages and disadvantages, the learning curve is quick to master and for once it's actually fun to just jump into this RTS online. This game isn't for everybody, but as a real time strategy/tactics game set in World War II, no other game compares. I haven't played this game on a touch screen monitor but it looks impressive, see the video below. We've always been a fan of the Tropico series. The newest release, set to come out September 1st, has brought about some controversy with fans of the series. Some say the new release feels more like an expansion than a full new game. The graphics engine is exactly the same and most of the game will feel exactly like Tropico 3. However it's the economy and foreign policy which is what will really shine. The new release will include a Stock Exchange and several other buildings to bring some variety to Tropico. A total of 20 new missions and 10 new maps, 20 new buildings, many more disasters including volcanoes, droughts, tornadoes and tsunamis, select your own cabinet from your populace and objectives from the different factions. Probably the largest addition will be the trading system. No longer will your populated island starve just because you have no more room to build farms. Finally a fire station will be added to Tropico. Apparently fire has never been a problem for Tropicans until now. Oh did I mention Facebook and Twitter integration, just what all us strategy gamers always wanted. We will have a full review of the game September 2nd. Until then you can either download the demo from Steam, or enjoy this trailer. We will reserve judgement for the full release. For more information, visit the official website. I have gotten most of the website updated. If you have any problems with the site, please leave a comment. I am currently updating the Guide to include information about the newest Divine Wind expansion. If you have any requests for information to be put into the guide or any questions about Europa Universalis III in general, I am always willing to look into it. Look at our updated guide here. The new Strategy Nerd is now online. Within the next few days we will be adding new content and the old content back online. I thank you for your patience.